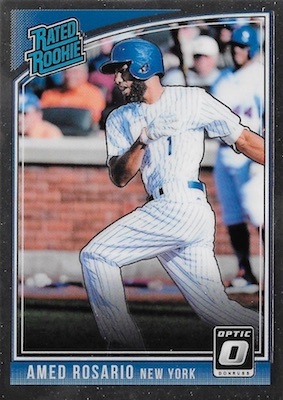 The 2018 Donruss Optic Baseball variations make subtle and not-so-subtle changes for some of the biggest MLB stars in the base set and Rated Rookie subset. 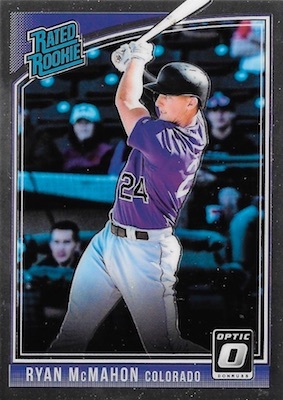 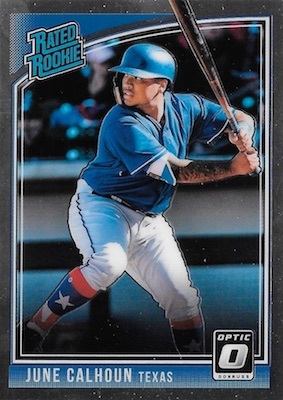 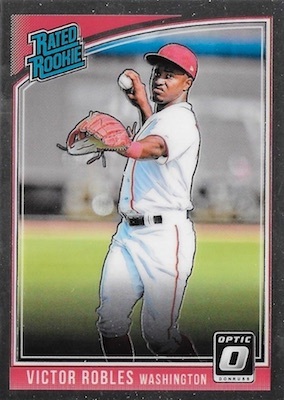 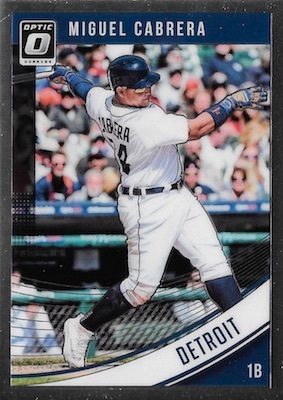 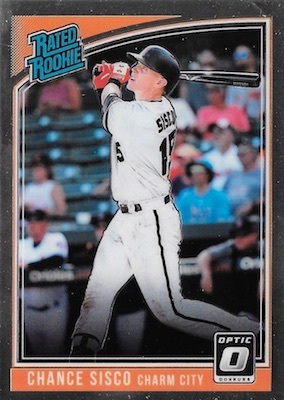 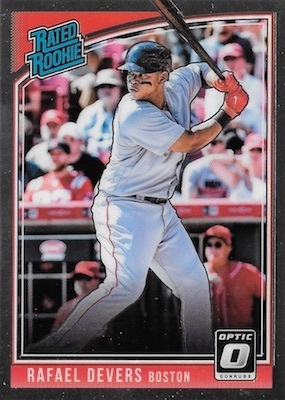 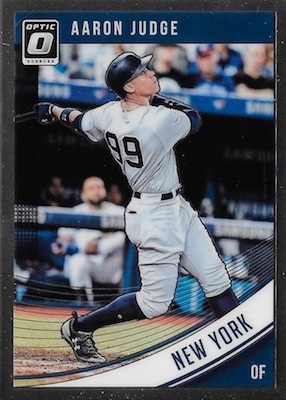 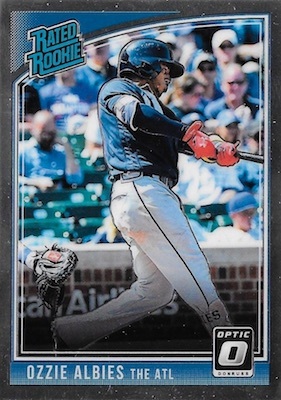 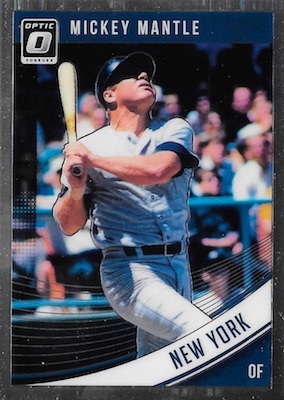 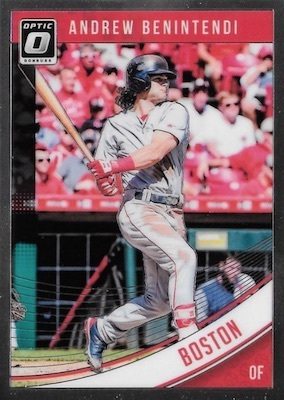 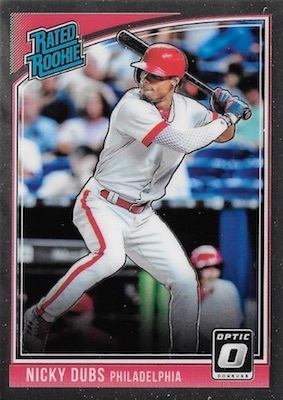 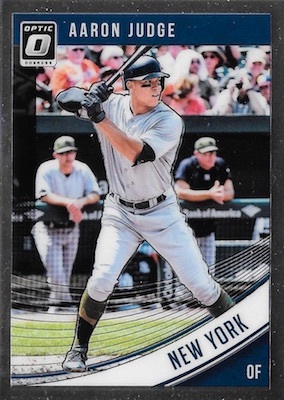 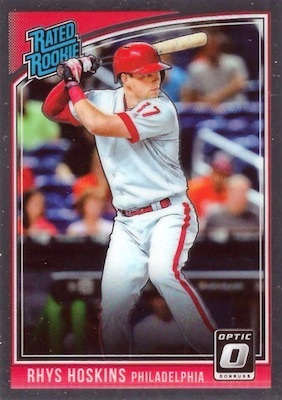 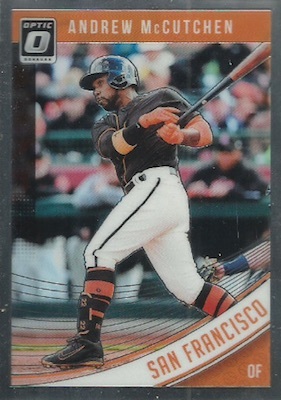 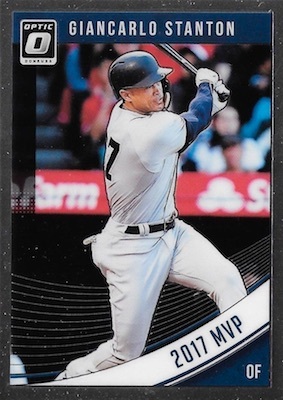 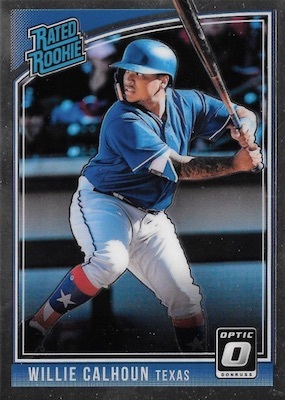 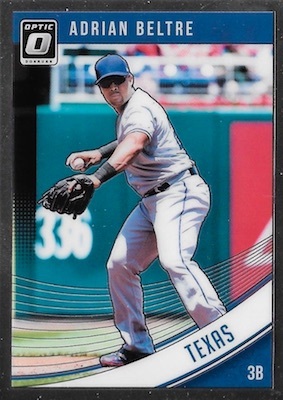 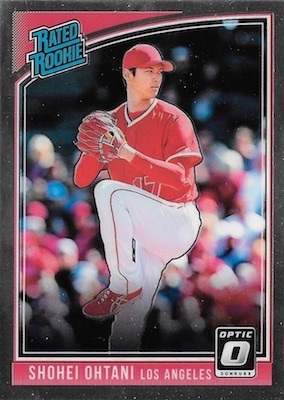 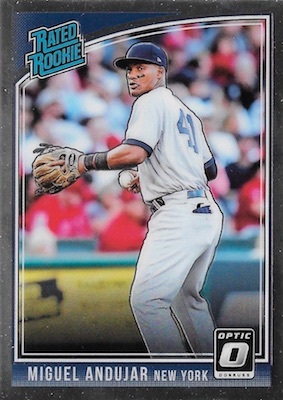 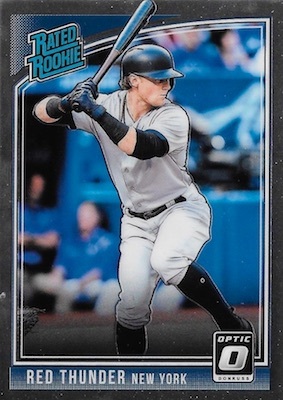 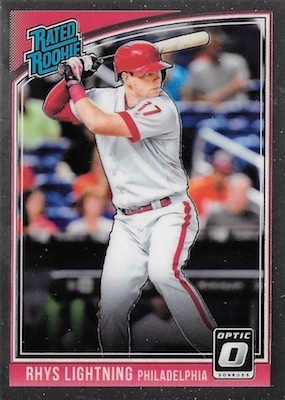 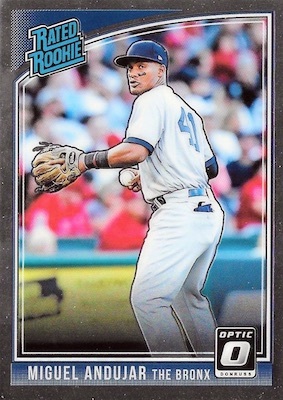 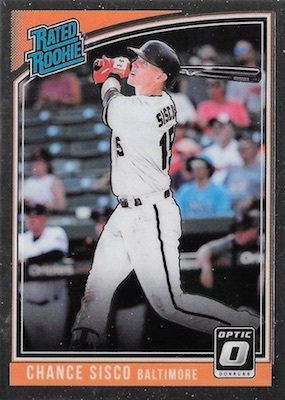 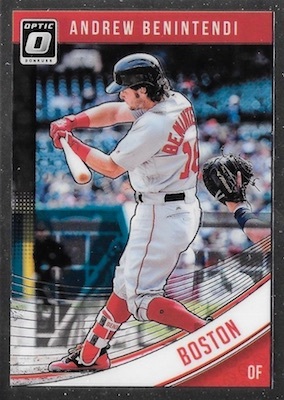 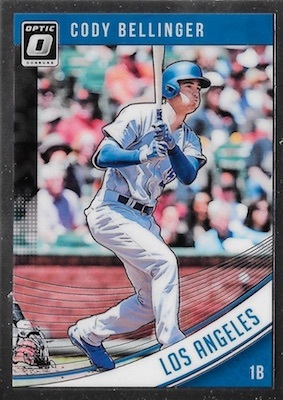 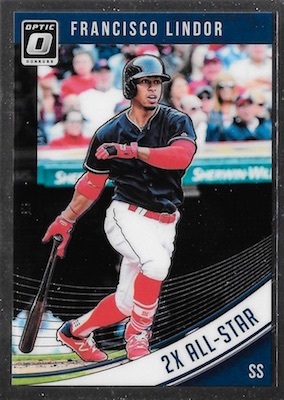 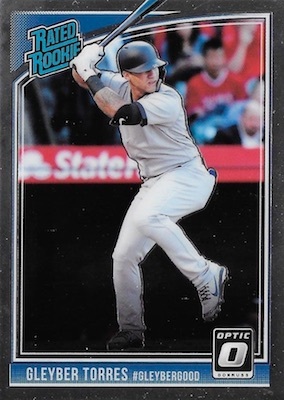 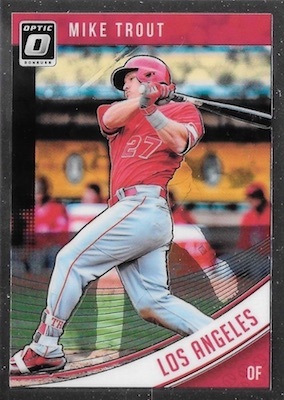 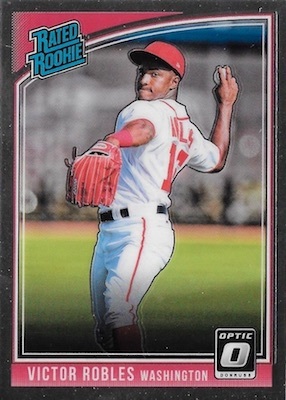 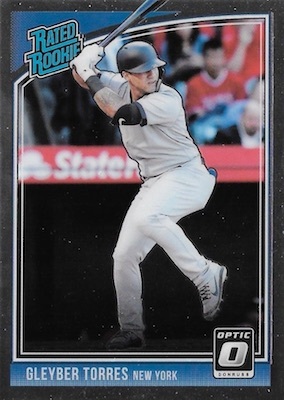 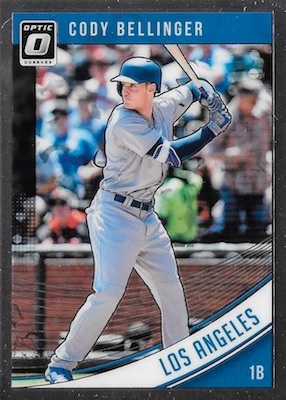 Although not very rare, 2018 Donruss Optic Baseball provides some of the most accessible variations of the collecting season, and does so at a very affordable price. 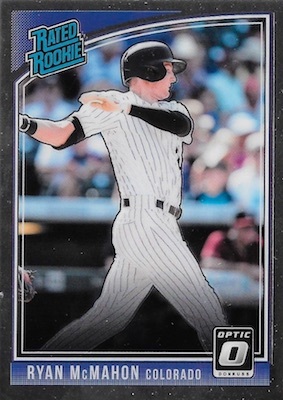 Shop for 2018 Donruss Optic Baseball Hobby Boxes on eBay. 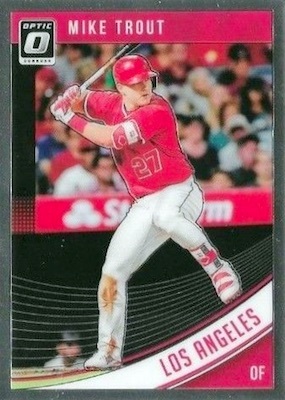 The 25 cards don't stick to a set theme, but most feature either a standard image change or nickname swap in the form of a name variation or team variation. 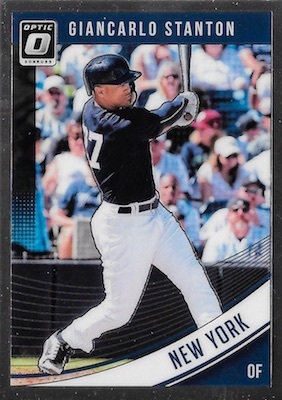 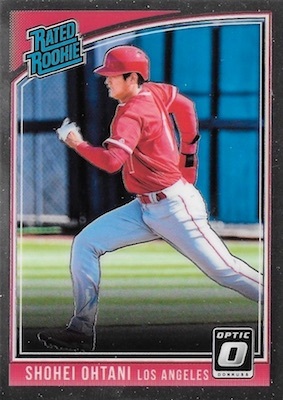 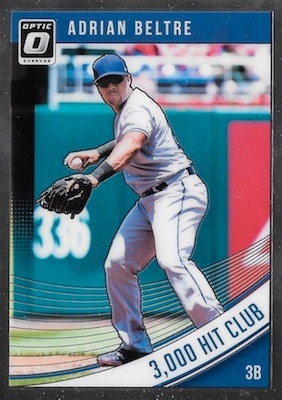 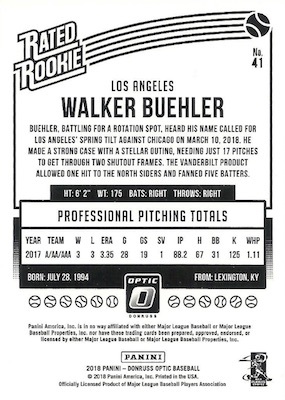 There is even one player that switches the text and image (Stanton), as well as one option where the change is on the back as a bio text variation (Buehler). 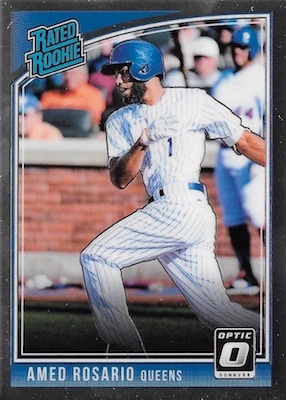 If you want some rarity or a greater challenge, the 2018 Donruss Optic Baseball variations feature the full Optichrome rainbow from the base set, including Holo, Bronze, Pink, Purple, Red/Yellow, Shock, White Sparkles, Aqua (#/299), Orange (#/199), Blue (#/149), Red (#/99), Carolina Blue (#/50), Black (#/25), Gold (#/10), Cracked Ice (#/7), Green (#/5), and Gold Vinyl (1/1) parallels. 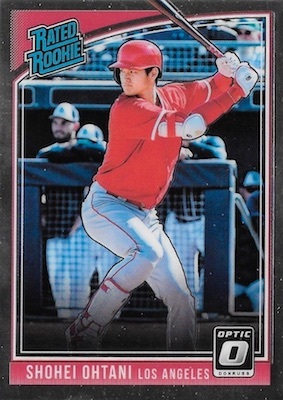 2018 Panini Donruss Optic Baseball Factory Sealed Hobby Box 2 Autos Ohtani?